NHJury.com has been around for a few years, but really hasn’t done much more than cover the jury nullification scene and passed out some flyers. Jury Nullification, particularly in New Hampshire, is starting to become quite a movement, and we felt that it was time to scale up the operation so we can tell more potential jurors about their natural right of nullification. Recently, we formed a Board of Directors and we are looking for some Great Ideas for getting this organization started. Our friends at the Civil Disobedience Evolution Fund have offered us a $1,000 grant to jump-start NHJury.com, plus another $500 as an incentive for people to give us ideas that we can use to raise funds and get the word out about jury nullification. Any idea is welcome, but if you want the 50 bucks, your idea should include a plan for raising funds. We could use some help here. Go to http://nhjury.com/greatideas if you have an idea about fundraising or getting the word out. You can win up to $50 worth of FRNs, silver, or bitcoin. I always thought the language in RSA 519:23-a (commonly referred to as the jury nullification statute) was weak. In fact, the state’s attorney argued in front of the NH supreme court that before it passed into law, the legislature stripped all mention of jury nullification from the original bill. From the state’s perspective, their attorney was correct, and the supreme court unanimously affirmed that the statute is not a jury nullification statute. Here’s their seven-page decision. The statute in question is a shadow of what it should have been. Perhaps the legislature can try again and get it right this time. Until then, whether or not a defendant will be allowed to tell a jury about nullification (which has happened multiple times thus far in NH) remains up-to-the-judge in the case, it seems. 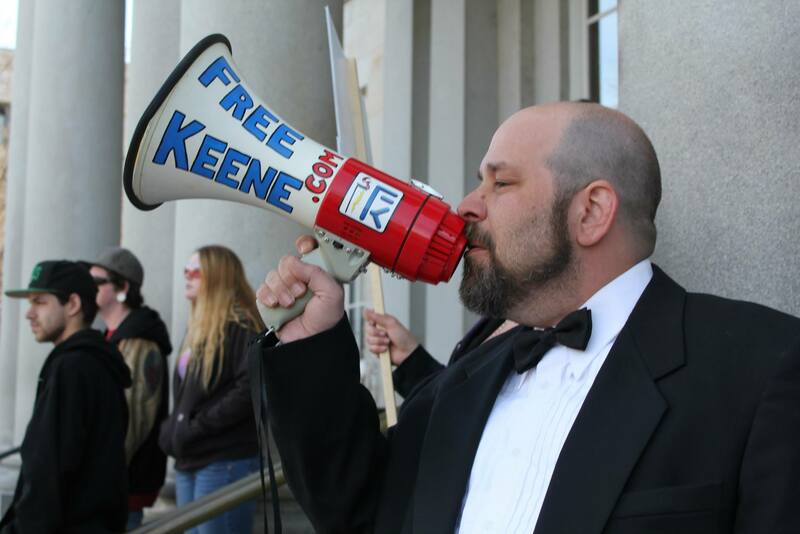 Stay tuned to Free Keene for or NHJury.com for the latest news about jury rights in New Hampshire. Reason has an excellent take on the news here, and FIJA’s opinion is here. Jury Nullification Advocate Rich Paul Out of Jail, Off Probation! NH Jury nullification advocate Rich Paul is out of jail! Rich recently spent a few extra months in jail in order to no longer have probation when he got out. (Though he is still on a suspended sentence.) Activists convoyed out and picked him up this morning at 6am, then stopped by Central Square to enjoy a smoke, followed by breakfast downtown. Later today, Rich will have lunch with friends. Video of his release to come – watch Free Keene for an update. Rich is excited to get started expanding NH Jury as an activist and outreach organization. Don’t miss Rich speaking at Keenevention 2014 this October 31st through November 2nd – tickets are available now for $60 USD or BTC. Pre-event ticketing is limited to just 100, so don’t wait until the day-of to buy!